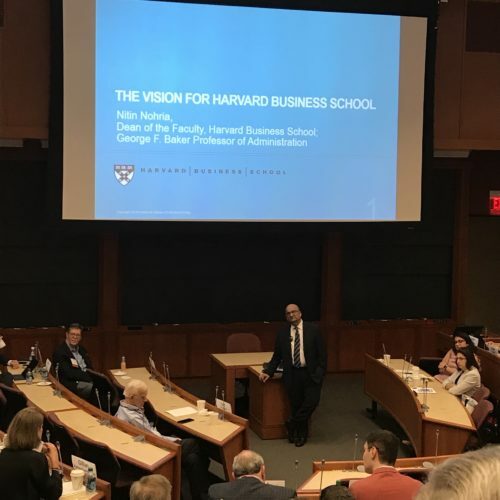 Yesterday, I went back to Harvard Business School for an alumni conference, which I found energizing and interesting. Going back was fun, as it made me feel young again. I have fond memories of business school: people were very nice, the professors were nearly always engaging, and many life-long friendships were formed there. 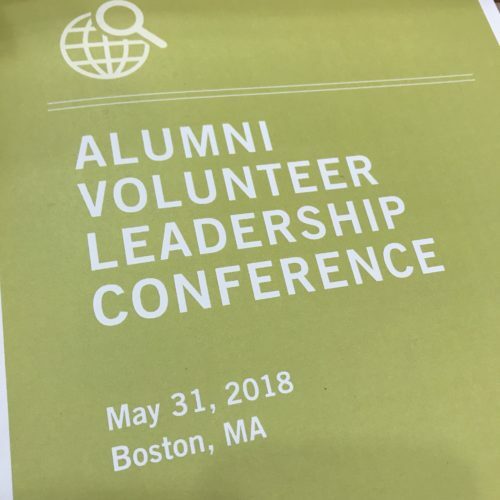 I learned that the school is investing a great deal into entrepreneurship, gender equality, non-profit activity and the environment, all of which I laud. Thereafter came a very impassioned POV, how he is from India and has seen first-hand that a person’s ability to have economic self-determination and provide for one’s self and children is a source of tremendous human dignity. He also added that it was critical to create prosperity for society as a whole, to help others benefit, too. I thought it was a great answer. You see, way back when, I almost didn’t go to business school, as I wondered about “the meaning” of it all. Ruthless capitalism didn’t align with my values. I was a deferred admit, who could matriculate after one year of work, and after three years of investment banking and management consulting, it would have been easy to go back to school. I really needed a break. In the end, I went ahead, largely because no other serious option crossed my path, and I went with the vague idea that perhaps “doing well and doing good” would be my goal. And, I’m so glad I went. For me, business school was transformative and had a huge impact on my life, more so than college. Some years ago, I asked for the name of, and email for, the admissions officer who read my file and admitted me. I wrote to her and thanked her, that she changed my life. My friend Jamey Sperans calls this “a gratitude tour,” whereby you identify all of the people who have had a major impact on your life, and you reach out and thank them. I’m on my own personal gratitude tour, and I’d encourage you to consider the same. So, it was a great conference for so many reasons. I’m very thankful to all the people who planned it. It was a fulfilling visit for me. Jo-Thank you for the very thoughtful question, coupled with an incredibly quick hand in the air from the sky deck! It was a phenomenal lead-off for the Q&A and really, for the rest of the day, as it set an incredibly meaningful tone. Agreed it was an inspiring visit! Wow. Thank you! So great to see you!